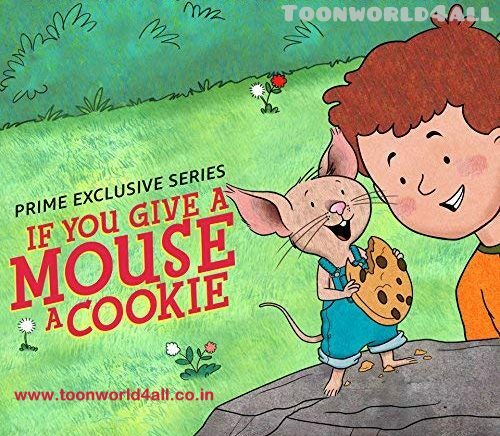 Synopsis: In the If You Give a Mouse a Cookie series, based on the beloved books by Laura Numeroff and Felicia Bond, we get to know Mouse, Pig, Moose, Dog and Cat and their favorite humans. When Mouse and friends get together, one thing always leads to another in the most unexpected ways. You just never know where things will end up, but you can be sure that IF Mouse and Friends go on an adventure together, THEN they will just have to have fun the whole time. A shopping trip for applesauce leads Mouse and Oliver on some unexpected adventures; Donning their detective hats, Mouse and friends set out to discover the whereabouts of their friend Cat.